I finally decided it was time to kit out my ancient but trusty Asus Eee 900 with internal Bluetooth. 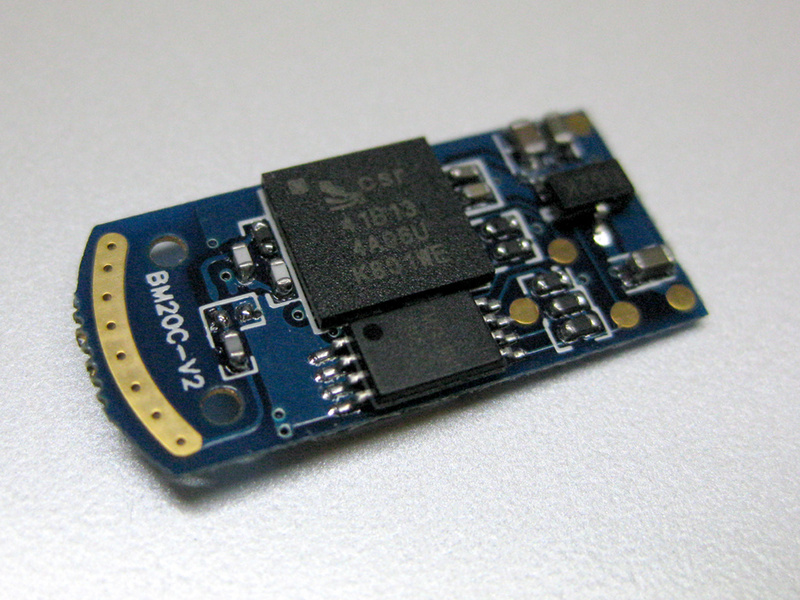 I had an old micro Bluetooth adapter lying about which came apart very easily to reveal an exceptionally small PCB. 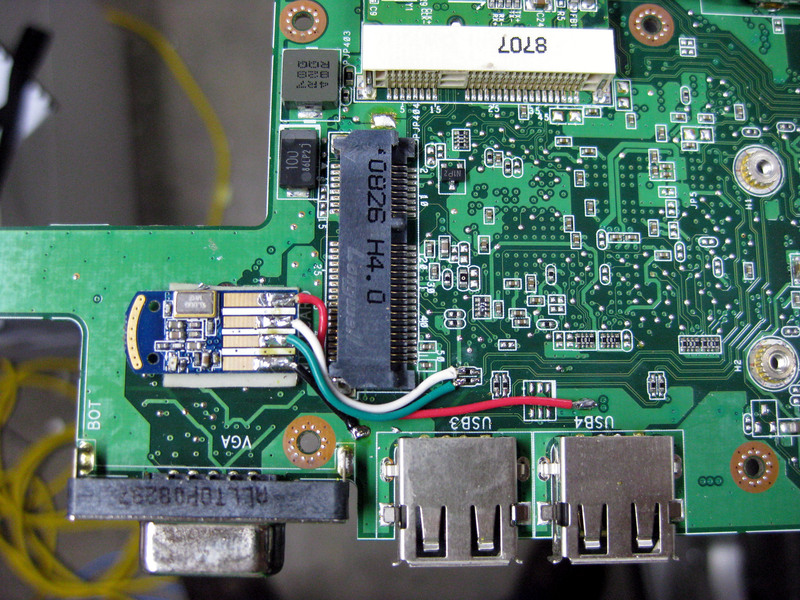 I stuck this to the motherboard of the Eee using a small piece of double sided foam tape, just behind the external VGA connector, and then wired it to the unused USB lines connected to the WiFi adapter PCIe slot. Power was derived from the same 5v rail that supplies the external USB ports. I simply scraped some solder mask off the tracks and soldered the wires directly. Fortunately once I put it all together again it worked! Do you have a Japanese import car that won’t tune to local FM radio stations? It’s a well known fact that Japan uses a different public FM broadcast band to the rest of the world; 76 to 90 MHz instead of the usual 87.5 to 108 MHz CCIR band. Sure you can use a band expander but these suffer from a number of drawbacks, not to mention that the radio does not display the correct frequency of the station you are tuned to.